The expert engineers at Roller Die are able to produce open seam tubes. Another roll formed shape, an open seam tube is typically formed from a sheet of metal roughly the thickness of a typical wall. The term ‘open’ refers to the gap of width (no greater than 25% of the outside diameter), which runs along the length of the tube. 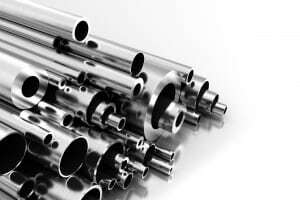 Open seam metal tubing can be produced from a wide variety of materials. Free tooling is likely available for this roll formed shape.